(Seychelles News Agency) - Five water drainage projects worth $3.3 million are expected to start in February to improve the drainage system on La Digue island of the Seychelles archipelago, according to a statement from the Seychelles Ministry of Environment and Energy. This follows yesterday's flash flooding in the plateau areas of Seychelles' third most populous island. La Digue island was affected by similar flooding at the end of January last year, following the passage of Tropical Storm Felleng. In the first half of 2013,a study of the flooding incident was commissioned by the government, and a plan to mitigate the risks of further flooding was completed. Government agencies continue the clean-up operations today, where sanitation measures are being taken to prevent the spread of diseases. Rainfall on the island has ceased, and roads are open for circulation. 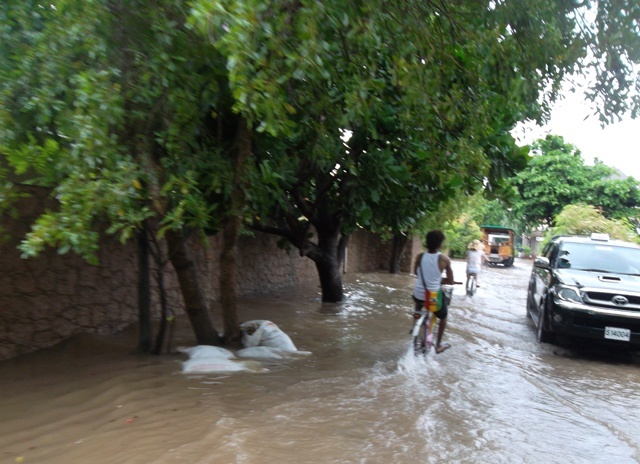 On January 24, the Seychelles Met Office recorded 220 millimeters of rainfall, more than half the average monthly rainfall for January, which fell within a 7 hour period causing flooding in the plateau areas, with several houses and shops in the low lying areas inundated. Hotels and guesthouses on the island remain open for business on this popular island renowned for its tranquility and the friendliness of its people. On this rainy day, tourists were however unable to ride their bicycles around the island, especially in the area of l'Union Estate, which leads to Anse Source D’Argent beach, ranked by CNN.com as the 4th best beach of the World's 100 best beaches. 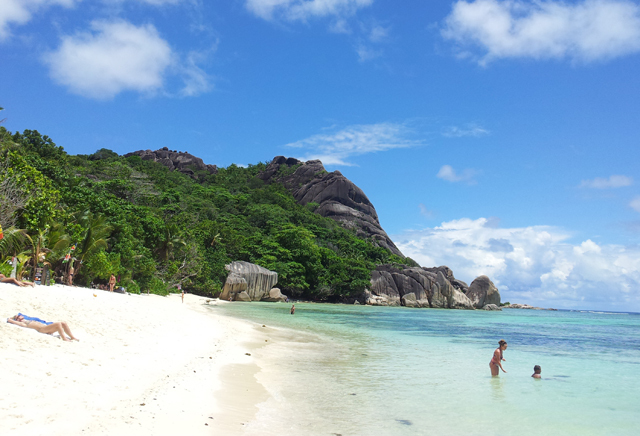 La Digue island was affected by similar flooding at the end of January last year, following the passage of Tropical Storm Felleng. January is the peak month of the Seychelles rainy season as well as the peak of the Cyclone Season over the Southwest Indian Ocean; however these storms rarely affect the Seychelles main granitic islands as they remain outside the cyclone belt.